As a youth just out of college I doubt that I would have had the poise or presence of mind to speak thoughtfully to a cabinet member of a sitting president. The students who met with U.S. Secretary of the Interior Sally Jewell in August of 2016 carried themselves with a level of confidence and conviction that I could not help but admire. Gathered in Washington, DC, to share their experiences after summer internships at various National Park units across the country, these young people affirmed for me my profound belief in the power of storytelling and the vital importance of personal narrative. The students recounted to Secretary Jewell their thoughts and impressions of the time they spent in service to National Park sites that included, among others, the Statue of Liberty, the Grand Canyon, Yellowstone, and historic sites in and around the U.S. capital. 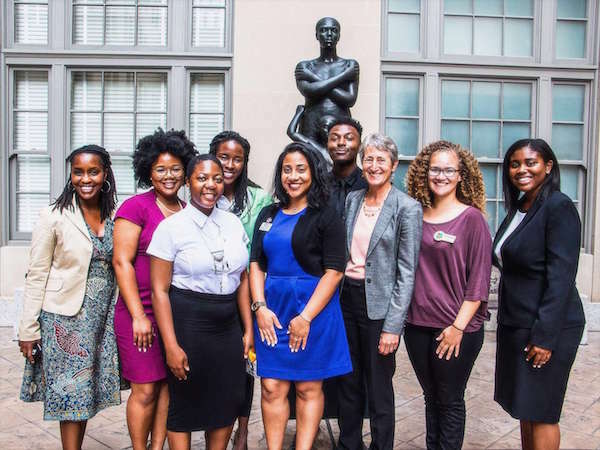 Members of the Historically Black Colleges and Universities Internship program created by the Greening Youth Foundation, each student expressed her sincere appreciation for the opportunity to be directly involved and engaged in the preservation of these monuments to our collective past. And as young people of color they made it clear that there are many opportunities to interpret the stories of our national heritage in ways that are more relevant and accessible to those whom history so often neglects. Sally Jewell, in Washington, DC. Having spent much of the last few years telling stories of historical figures who have helped to shape the modern National Park System, I am excited to see students seeking out and even creating stories of their own. In partnership with the Center for Humans and Nature, I was pleased to work with these interns to develop their thoughts as essays to share in this journal. Of the five submitted entries we chose two to highlight in this Minding Nature issue. As students of history and environmental conservation, Natalie Louisa Rodriguez and Akua Amponsah exemplify the importance of curiosity, critical thinking, and courage in the pursuit of truth. James Edward Mills is a freelance journalist and an independent media producer. In a career that spans more than 20 years, he specializes in telling stories about outdoor recreation, environmental conservation, acts of charitable giving and practices of sustainable living.